Egypt is to see around $200 billion on foreign investment in the "coming period", the spokesman for the country's president-elect, Mohamed Morsi, claimed on Wednesday. Yasser Ali, who did not elaborate on the duration of this investment "period", was quoted by Ahram's Arabic-language news website. He added that Egypt's government must "prepare the environment" for large-scale investment and projects under Egypt's next president. The sum of $200 billion is many times higher than the most optimistic estimations for future investment in Egypt, given the country's current economic risk. 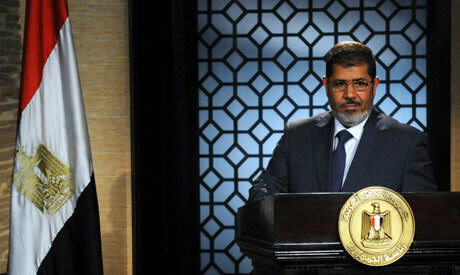 Ahram reported the same figure as being announced by Morsi himself during his presidential campaigning in late April. During a visit to the Upper Egypt governorate of Minya, Morsi claimed that 15 international companies had signed memorandums of understanding worth around $200 billion with the Brotherhood's political wing, the Freedom and Justice Party. These investments could create more than 2 million jobs in four years, Morsi said, adding that they were contingent on Egypt having a stable and freely elected executive authority. Data from the Central Bank of Egypt for the 2010/11 financial year shows the country saw $2.1 billion in Foreign Direct Investment. From $2.1 billion to $200 billion is quite substantial growth in the Brotherhood's projections. I too know my associates have guaranteed funds to complete our Red Sea developments, I just wonder if the new Administration will grant the Bank Guarantees required to secure their safe investments and transfers? great awesome news for the country of egypt. I HAD PICKED MOHAMED MORSI ALSO THEN AND LADY V.P. THE COUNTRY WELL BE STRONGER THEN EVER BEFORE.I'LL KEEP PRAYING FOR ALL OF YOU.YOU'RE KING I HAVE BEEN WATCHING AND READING KEEP STRONG AND I'LL BE SAFE MY LOVE GOES OUT TO EVERYONE YOU'RE KING TUT I'M IN SEATTLE,WA.GOD BLESS YOU AND KEEP GOOD COMPANY WITH YOU'RE NEIGHBORS.